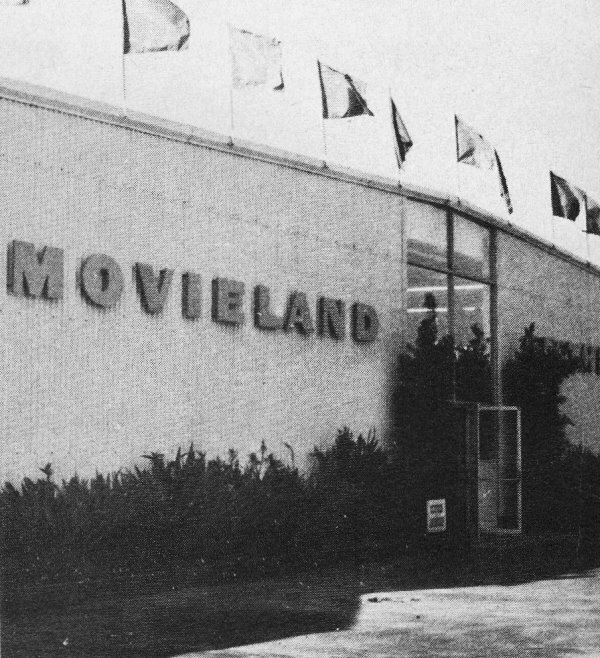 The Movieland of the Air museum, once located at the Orange County Airport, seems to be no more according to Google searches I did to try to find it. There are few archive photos on an Orange County, California, website, but not much else. Tallmantz Aviation, Inc., was formed in 1961 by pilots Frank G. Tallman and Paul Mantz. The scant information available indicates that sometime around 1991 the museum was closed and the aircraft and other exhibits were sold or donated to various collectors and museums. 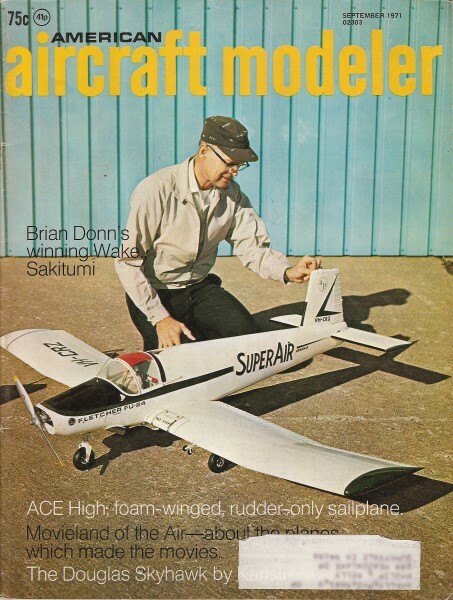 The photos from this 1971 issue of American Aircraft modeler, which will now be discoverable on the Web, might well be the only accessible ones of their kind. Most, if not all, of the planes in these early photos were used in Hollywood movie productions like "Dawn Patrol," "North by Northwest," "Carpetbaggers," and "Tobruk." 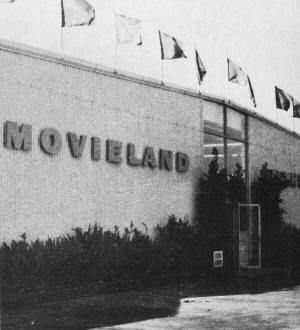 The color photo thumbnail is a view of the Movieland of the Air provided by Bill Larkins, who evidently lived near the museum. 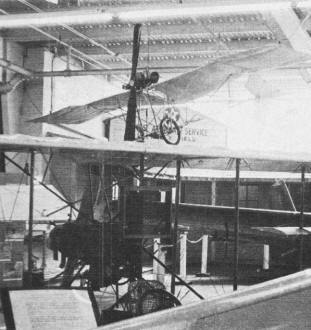 News Flash: I found a few more color pics of the TallMantz Aviation "Museum of the Air" on the Museumerica website (bottom of the page). 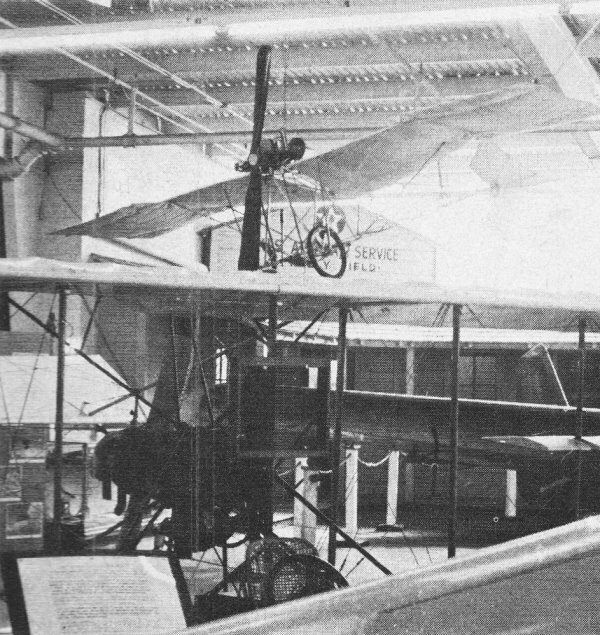 Curtiss 1910 Pusher, foreground, was first plane to fly from the deck of a Navy ship. French Voison, hung from ceiling, was featured in movie, Those Magnificent Men and Their Flying Machines. 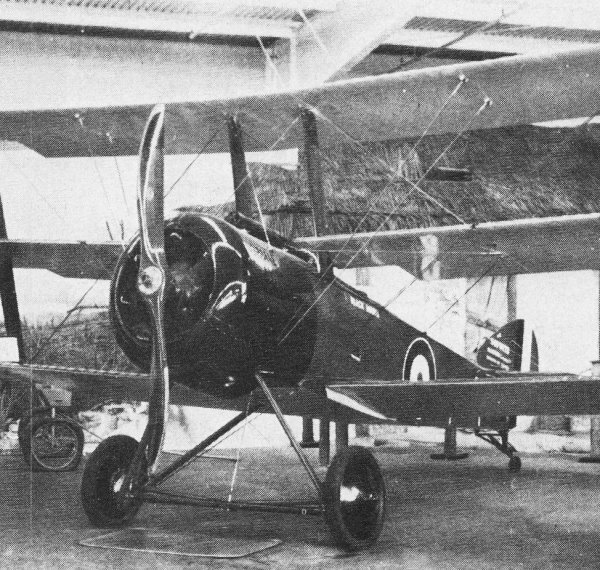 Sopwith Triplane used by British Royal Naval Air Force stunned the German fighters in WW I prior to introduction of Fokker Triplane (inspired by the Sopwith) and D-7. Note hut and mural terrain typical of conditions at Front in 1916. B-25 Valhalla? Eighteen of these WW II North American Mitchell medium bombers were amassed by Tallmantz for movie, Catch 22. 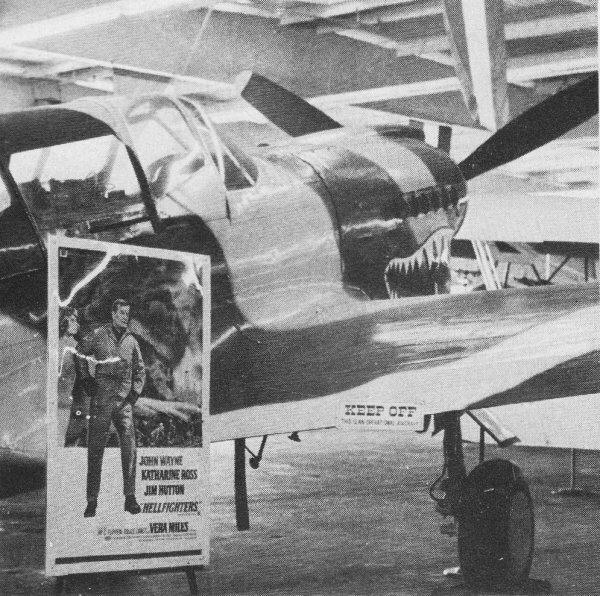 Two-seater Curtiss P-40 was seen in the movie, Tobruk, featuring Rock Hudson, although poster in foreground depicts John Wayne and the movie, Hellfighters. The Museum, a 20-minute drive from Disneyland, contains 44 planes, some dating back to the Wrights. What Museum worth its salt could afford to be without the Wright Brothers' first plane to fly? Movieland resorted to a clever replica, since the original history-making machine is on display at the Smithsonian in Washington. 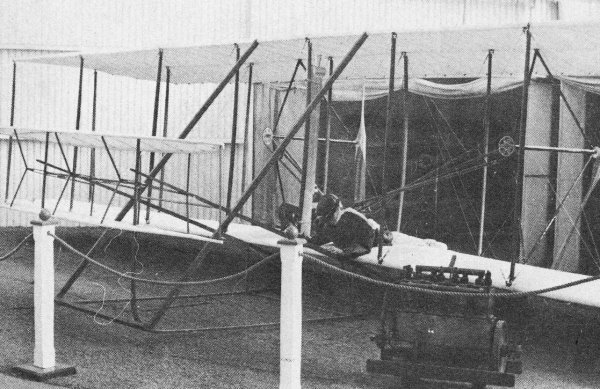 This J-1 Trainer from 1915 is a true star among movie-making airplanes, having been featured in Thoroughly Modern Millie, Wings of Eagles, and Wackiest Ship in the Army. Model in foreground is Douglas Navy Skyray. Many of the WW I and before craft were found in barns in stripped or crashed condition. Adding human interest to this display are dummy figures of pilot and observer-gunner, with period helmets and goggles. Note drum feed on flexible guns. The Tallmantz collection of historical aircraft stresses association with famous stars and movies. If you think the pilots who fly stunt planes in motion pictures, who fly through hangars, who crash planes deliberately and walk away with nary a scratch, are zany, half-drunk kooks, you are wrong. Dead wrong! It takes the utmost flying skill, an uncanny sense of balance and timing, a cool head and a steady hand to do these tricks. Frank Gifford Tallman is such a man and he has a hangar full of planes which have been used in well-known movies, doing stunts, simply "acting", or carrying the camera itself. Tallman, a retired U.S. Navy Commander, began collecting vintage aircraft for a hobby and did a fair amount of movie flying on the side. He is one of the handful of pilots today certified to fly any kind of aircraft from jets to helicopters or gliders. Up until 1961 he was in competition with the granddaddy of all stunt pilots, Paul Mantz, who also owned many vintage planes. The two decided to join forces in 1961 and founded Tallmantz Aviation for the purpose of chartering flights and doing flying for movie cameras. Movieland of the Air was founded soon after, when it was found that most of the planes in their collection had been used in one movie or another with resultant wide public appeal. The famed Movieland of the Air museum is located at the Orange County Airport, about 20 minutes by car from Disneyland, south of Los Angeles. Visitors find a movie marquee beside every plane, explaining where and how it was used. Famous planes from the Dawn Patrol, Angels With Wings, North By Northwest, Hellfighters, Fate is the Hunter, Carpetbaggers, Catch 22, Spirit of St. Louis, and many, many other films can be seen here. Most planes are shown in an authentic setting with relics of the Lafayette Escadrille, signed photographs of famous movie stars, as well as interesting objects which have a human interest story connecting them to the planes. Take "the hand" for instance. During the filming of Catch 22, a plastic dummy "actor" was standing on a raft and was supposed to be cut in half by a low-flying L-5 Army spotter plane. The stunt went off well but part of the dummy, the hand, broke off and lodged in the elevator of the plane, almost causing it to crash. 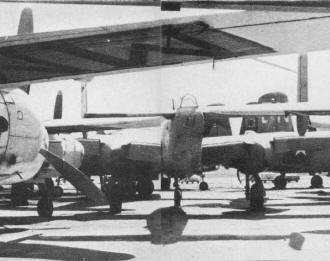 For the filming of Catch 22, Tallmantz hired and trained pilots and mechanics to take care of no less than 18 real B-25's. For four months, the cameras ground away as the 18 planes acted out their scenes, while three Cessnas, an L-5, and a helicopter did the filming and transporting of freshly shot film daily from Mexico to Los Angeles. Thirty-six mechanics, 36 pilots-copilots, and 20 flight engineers plus six "filming" pilots were engaged in this gigantic enterprise. Most of the aerial photography seen in movies, TV, or commercials is done by and from Tallmantz planes. One of them has a camera mounted in its nose and flies at 50 mph. 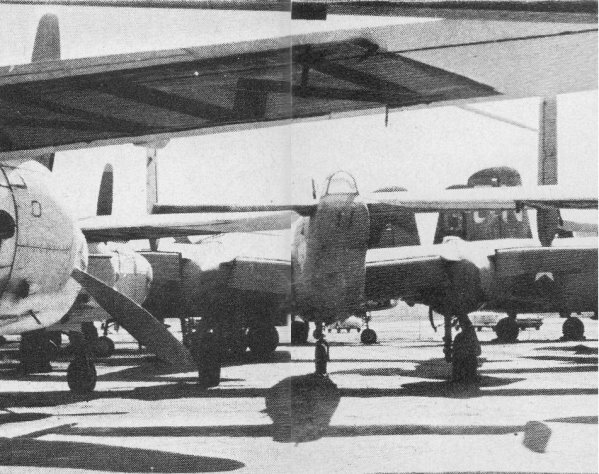 They also use B-25's with the camera mounted in the tail and film in reverse so that when the film is projected in the regular manner it looks as though the plane is approaching the subject. 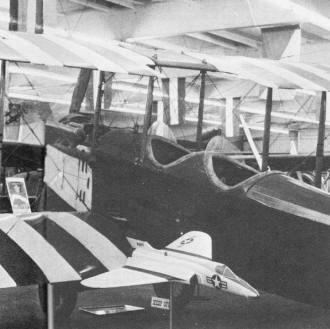 On display are 44 airplanes, some of which date back to the Wright brothers, but must of them are of WW I vintage. Among the most interesting planes are a P-40, one of 18 originally manufactured as a two-seater, and another P-40 which won several cross-country races and set speed records with Paul Mantz at the stick. The replica Wright brothers plane comes from a museum in Niagara Falls, Canada. A Jenny used for the filming of the initial sequences for the Spirit of St. Louis is on display. (A replica "Spirit" was built for the film and subsequently flown around the Eiffel Tower on the anniversary of the famous Lindbergh flight) Several bamboo and canvas gliders of pre-Wright brothers vintage are included. Some of the WW I planes, were found in farm barns in original stripped and/or crashed conditions and are waiting to be restored. 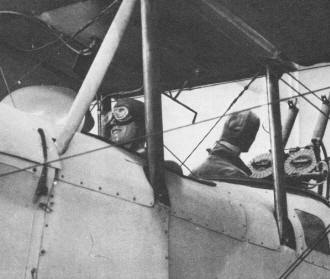 A Curtiss Pusher (equipped with a Lycoming engine) is flown almost daily, as the pilot's legs dangle from the open cockpit - to the delight of the crowds that gather here. Visitors can fly in a barnstorming Waco biplane for three cents per pound. They also can talk to the managers and mechanics who are all very knowledgeable about their airplanes. "It is hard to find mechanics who can service rotary engines and stitch canvas as well as service our helicopters ... but we have the best," says Jim Appleby, the museum's curator. Appleby also is the chief pilot for the organization. An old-time model airplane builder, who started in 1935 with rubber and stick models, he graduated to GHQ-powered models and then went on to the first tube-controlled RC. He reminisces about the day right after WW II when he walked through the snow outside a museum in Munich, Germany, and found some old blueprints in the mud. Upon closer examination the prints turned out to be the original drawings for the famous Eindecker. Jim had always wanted to fly this ship. Instead he decided to build a model of the plane from scratch and now proudly claims to be one of the originators of the WW I plane fad. He built other vintage aircraft as well and, being a retired Air Force major himself, he eventually joined Tallmantz. Frank Tallman, noted aerobatic pilot, popularized WW II homebuilt movement. 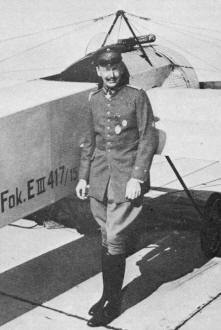 Here he poses with Fokker E-3 Eindecker, built by the Museum's curator, Jim Appleby. In 1961 Tallman and Paul Mantz, movie "stunt" pilot, combined collections. In 1967, Paul Mantz did the stunt flying for the movie, Flight of the Phoenix. When the last scene was being filmed, the plane broke up in midair, killing him. During the ensuing years the museum almost went broke, many planes were auctioned off, Frank Tallman lost a leg in (of all things) a go-kart accident. But, determination and perseverance have their rewards. Today, Tallmantz and the museum is a bustle of activity with planes being restored or built from scratch (and the wing fabric is still hand-stitched). The charter service is busy, movie engagements keep the pilots occupied and, at this writing, Appleby and Tallman are on a cross-country promotional tour. They fly authentic dogfights with their Nieuport (with Snoopy painted on the fuselage) and Fokker triplane, for Mattel-Monogram. If you have a half a day or more to spend in this area, visit the Movieland of the Air Museum at the Orange County airport, Santa Ana, Calif. But please do not write for plans or details of planes. The administrative staff is just plain overloaded, and at this time they have no plans service. Mr. Tallman is presently writing a book about "how it feels and smells to fly vintage airplanes." It will describe each famous model in great detail and is based on firsthand experience. Future plans for the Tallmantz organization include more movie work, although preferably not as strenuous as the scene in Mad, Mad, Mad World where a two-engine plane was flown through a huge Coke sign with only three feet to spare. Nice, quiet shots, such as "Fly the friendly skies of United" with the plane slowly disappearing in the sunset, are preferred! The Museum is planning to expand with the acquisition and/or building of vintage aircraft. 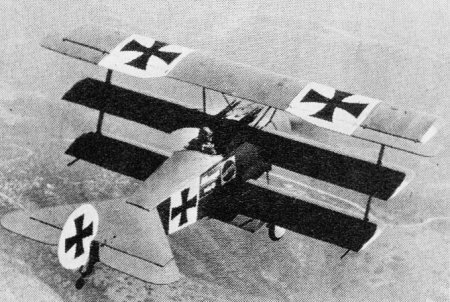 WW I Camels, Fokkers, Nieuports and other planes seem to have the widest public appeal. With dyed-in-the-wool enthusiasts like Tallman arid Appleby, the organization is bound to prosper ... to the delight of us all. The caption reads that Snoopy's Sopwith Camel was decorated to resemble the model kit. 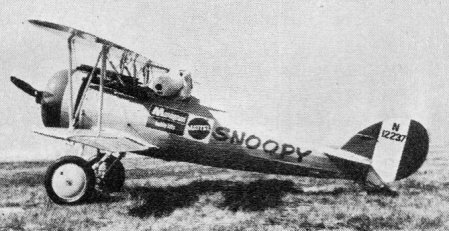 Perhaps Snoopy looks so perplexed because he is seated in a Nieuport 28. 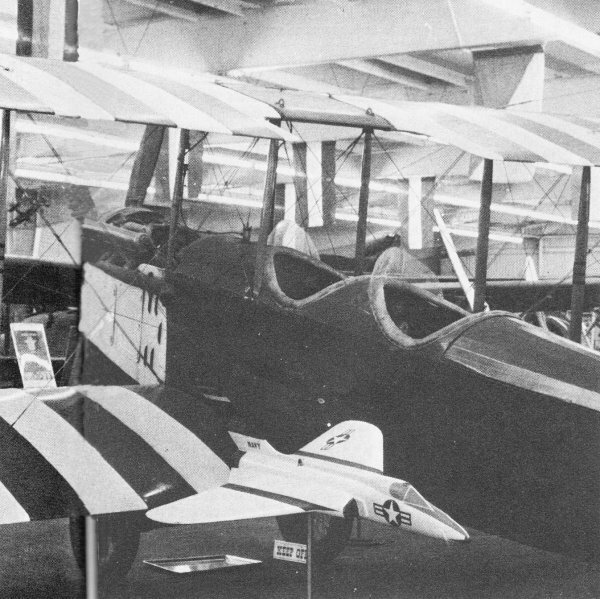 Many other WW I ships are to be found at Movieland - an SE-5 as an example. The "Red Baron" pilots Fokker enroute to New York during Snoopy/Red Baron Transcontinental Air Race sponsored by Mattel/Monogram; 21 cities visited. Valued at $30,000, this Tripe has 160-hp Warner engine.